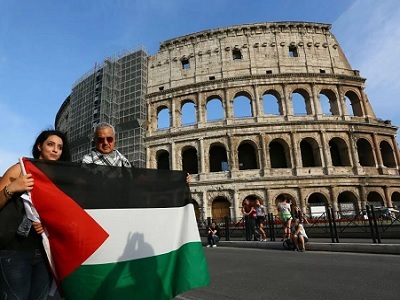 On the eighth day of the Palestinian prisoners’ hunger strike Palestinian Authority (PA) Mahmoud Abbas met with the famous female singer Ahlam Al-Shamsi in Kuwait, Safa news agency reported yesterday. 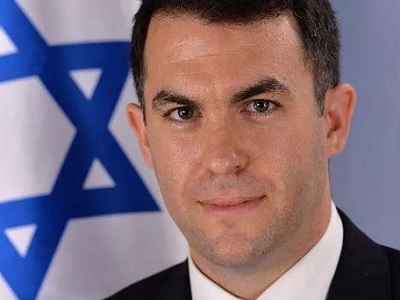 This is the second time in three months that the pair have met in what social media activists have called Abbas’ blatant disregard for the suffering of Palestinian prisoners. Others went on to remind Abbas that his people are besieged in Gaza with stifling power cuts while he’s busy meeting stars. In February, Abbas met with Ahlam and a number of other singers in Lebanon. 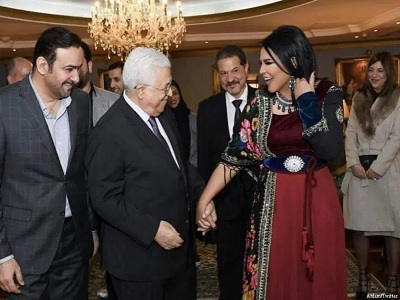 The official Palestinian media, which covered Abbas’ visit to Kuwait, did not report on his meeting with Ahlam, however she posted pictures of them on her social media channels.